Our unique approach and interactive website makes choosing the best wedding act as easy and hassle-free as it can be for couples and wedding planners. You can save your favourite acts to compare later, request detailed quotes from acts, arrange bookings and pay deposits online. 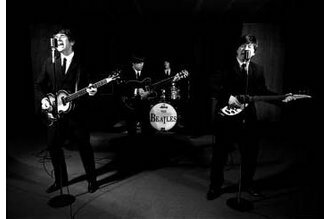 If you are looking to book a musical act for your wedding you have come to the right place. 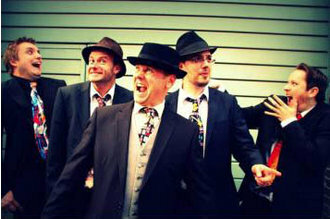 We feature the very best wedding bands, wedding entertainers, wedding singers and wedding DJs in the UK. From acapella wedding bands, to drumming waiters, harpists, gospel choirs and bagpipe players, we are bursting with all sorts of wedding entertainment ideas for your special day. We want to take as much stress out of wedding planning as possible. Our detailed wedding act profiles let you watch videos, view images and listen to audio of the bands and performers doing what they do best, wedding entertainment. Payment is quick and easy, our secure account system lets you pay your deposit online! 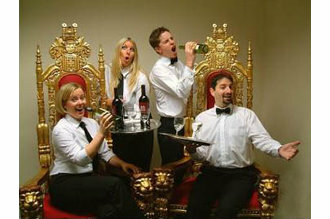 We are musicians and industry professionals that have been in the wedding entertainment business for over two decades. We have planned and performed for Royalty, managed chart topping acts and played for A list celebrities. Need anymore convincing? Click here to find out more about I Do Music. 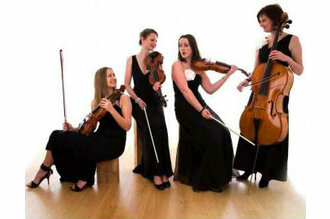 We have been involved in the wedding entertainment and wedding music bookings business for over 20 years. Before entering the wedding entertainment and wedding music world we performed and managed in chart topping acts in the UK and around the world. Weddings are all about the experience, I Do Music have bags of it. - Performed in top selling chart acts. - Managed major label artists. 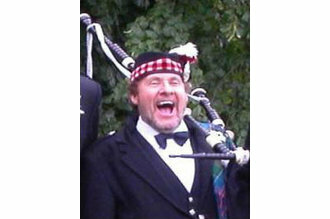 - Performed and managed top national show bands. - Provided management and agency services for live acts throughout the UK. - Planned, delivered and performed for A list celebrities, top international sports stars and even Royalty! I'm not sure what I'm looking for, do you have any wedding entertainment ideas? If you are short on wedding entertainment ideas do not worry, that's our bag! We've divided up our wedding bands and wedding performers in to categories to make it as easy as possible for you. Still not sure? Give us a call on 0844 4411910 for a chat. How much does wedding entertainment cost? The price of a wedding act varies depending on a number of factors such as the type of act, size of the ceremony, duration of the performance and any additional extras such as kit/lighting. Our easy-to-use quote system allows you to request a detailed quote from acts quickly and easily. Sign up for a free account and get started now! My act/band would like to join I Do Music, how do we get listed? We pride ourselves in the quality of our wedding entertainment acts. If you feel that you're able to perform to a high standard and add some magic to a wedding ceremony then click here to sign up! We focus solely on wedding entertainment acts, this means we have lower commissions than larger agencies and booking sites. Click here for How I Do Music Works for Acts. Wedding entertainment is what I Do Music do. With over 20 years experience in the wedding entertainment industry, we have become renown for our high quality and diverse roster of wedding entertainment acts and wedding music bands. Unlike other live music booking agencies out there, I Do Music focus solely on wedding entertainment. We understand that every wedding should be perfect. It should be the most important and memorable day in a person's life. Therefore, it is absolutely vital that you choose a wedding act that you know is going to make your Big Day truly special and one to remember. 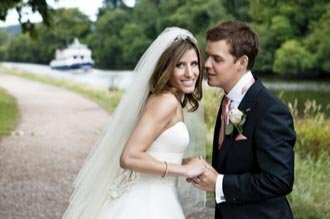 Our interactive website allows you to easily sort and browse through the best wedding music acts throughout the UK (including Southern Ireland). I Do Music feature the very best wedding bands, wedding entertainers, wedding singers and wedding DJs in the UK. From acapella wedding bands, to drumming waiters, harpists, gospel choirs and bagpipe players, we are bursting with all sorts of wedding entertainment ideas for your special day. If you're in need of some guidance or advice please don't hesitate to call us on 0208 242 4774 or send us a message via our online form. We take pride in the quality of wedding music bands, wedding acts and singers listed in our unique wedding music directory. This means that couples and wedding planners are given the pleasure of being able to pick the best wedding acts that we guarantee are going to make for a memorable wedding - for all the right reasons!